How to sign up: Email Thomas and request a registration form. Note: This Portland-area outdoor workshop is only taught every other year. So don't delay. If needed, a wait list for 2018 year will be started. 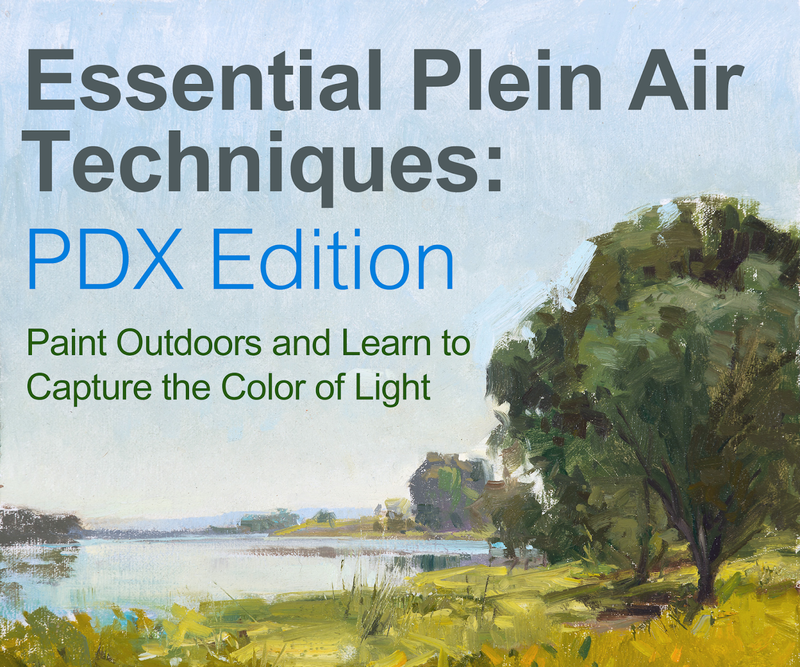 This class is for anyone interested in becoming better and faster at painting en plein air using a direct alla prima technique. Some experience with painting in oil will be helpful, but is not required. If you have experience with painting in another media your skills should transfer to this class. Instruction will focus on how to paint directly from life, on location. By the end of the week you will understand how to solve the problems that challenge the outdoor painter. Thomas’ instructional style is both fun and informative and he is respectful of all skill levels. Each day Thomas will present a series of brief talks, demonstrations, and realistic goals for you to reach, with one-on-one instruction tailored to everyone's individual needs and ability. This class will be an experience that carries you forward many years as an artist. How to recognize and rapidly mix color. How to organize complex value structures into a simpler pattern of light and shadow. How to create a convincing sense of light and vibration using warm and cool shifts in Hue. How to paint faster, with more expression. How to develop your own personal brushwork. How to transition from thin to thick, transparent to opaque paint. How to start a painting, and how to know it is finished. You will also learn how to apply the things you discover outdoors to your studio work – even when you paint from photographic references. Thomas will also cover topics which are often overlooked by even the most advanced instructor – such as basic materials science and safety, and painting for longevity. After you register you will receive a supply & recommended reading list. 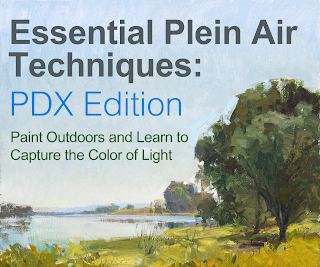 You may be surprised at how little equipment is required to paint en plein air, and what you can accomplish with it! 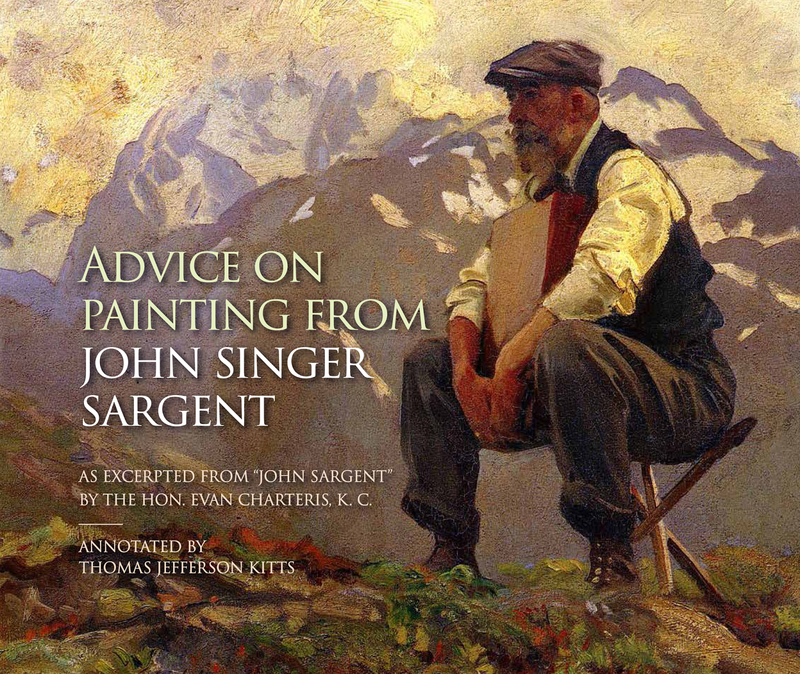 So join Thomas August 6-10th, 2018 to improve your en plein air painting! 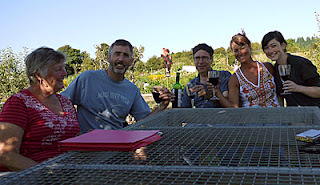 Make new art-friends, and perhaps meet up with some existing ones. You can expect this workshop to boost your confidence and ability to paint anywhere, anytime – indoors or out. About Thomas: I've been painting en plein air for over 30 years in every environmental condition you can imagine. Plein air has been my primary love and focus since 1984. In addition, I spent ten years teaching painting, drawing, and illustration at the Pacific Northwest College of Art where I was respected for my ability to teach and inspire. I actively exhibit in solo and groups exhibitions throughout the United States and my work is actively collected nationally. I have participated in some of the most prestigious plein air events in America — from Cape Ann to Carmel, to Easton, Laguna Beach, Florida, Sonoma, Telluride, and the Caribbean. I've been honored with Best of Show / Artist's Choice / First Place / Mayor's Choice / Best New Artist / Best International Artist, and more. I've written for PleinAir Magazine, lectured and demo'ed at numerous Plein Air Convention & Expos, have been featured by Southwest Art Magazine, and named an Artist to Watch by the Informed Collector. My work can be found in the permanent collection of two institutions: the Maryhill Museum of Art, Washington, and the Fleischer Museum in Scottsdale, AZ. 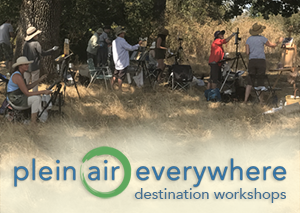 But second only to actually painting en plein air, I enjoy teaching other artists how to become a better themselves – which is why I offer these workshops year-round all over North America and Europe. I learned more in this one week workshop than I've learned about painting in my life. So many elements were explained and demonstrated; composition, brush-work, atmospheric effects on perspective and color, and so much more! The "drills" employed to move us beyond our own comfort and habits were invaluable. Add to that an instructor of both superior talent and genuine passion – well, words just fail to describe my gratitude. The joy I felt as a young "artist" has returned to my process of painting, while I hope technique and discipline will give birth to some measure of Beauty. If I succeed, the credit will be due my teacher.